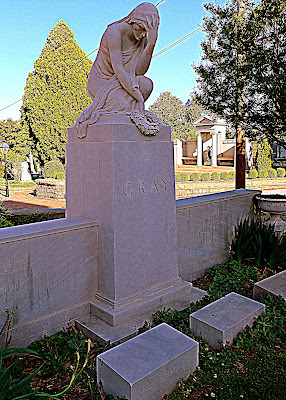 May Inman Gray rests beside her husband in a lot at Atlanta, Georgia's Oakland Cemetery containing a statue of the grieving Niobe of Greek Mythology. 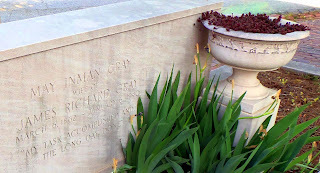 May's epitaph reads, in part: "My Task Accomplished And The Long Day Done". This phrase is from the final stanza of a poem by W. E. Henley, "A Late Lark Twitters From the Quiet Skies."